Digital sales of music and movies on the rise, but Blu-ray holds its own | What Hi-Fi? Blu-ray was the best performing physical video format in 2013, with UK sales up 10% to almost £252m, but the onward march of digital sales of both music and films continues unabated. Physical disc formats – including CD, DVD and Blu-ray – still account for 56% of all sales of music, video and games in the UK. And, as in previous years, vinyl continues its resurgence with with sales in 2013 almost doubling to £14.6m (780,000 albums). But there's no stopping the increasing popularity of video downloads and streaming. Digital video, which includes iTunes downloads as well as streaming services like Netflix and LoveFilm, accounted for 30% of 2013's total video sales of £2.06bn. Digital sales of video were up 40% in 2013, compared with an overall 6.8% decline in sales of physical formats, according to the latest figures from the Entertainment Retailers Association (ERA). And music streaming recorded a 33.7% rise and now accounts for nearly 10% of all consumer revenues from recorded music. According to the BPI, subscription revenues from music streaming services such as Spotify and Deezer rose to £103.1m. UK music fans are estimated to have streamed 7.4 billion songs from audio streaming services over the past 12 months – double the levels of 2012. Arctic Monkeys are the most streamed artists. And for the fourth year in a row more than one million songs were downloaded on Christmas Day. Digital sales of music, not including streaming revenues, account for around 40% of the total value of UK recorded music sales (£1.04bn). However, physical sales of music have fallen by around 7%. 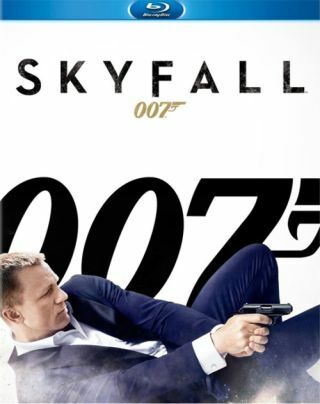 The biggest-selling video in 2013 was Skyfall, while the biggest-selling album of the year was Now That's What I Call Music '86, which shifted 1.2 million copies. One Direction topped the singles sales at 685,000 copies.